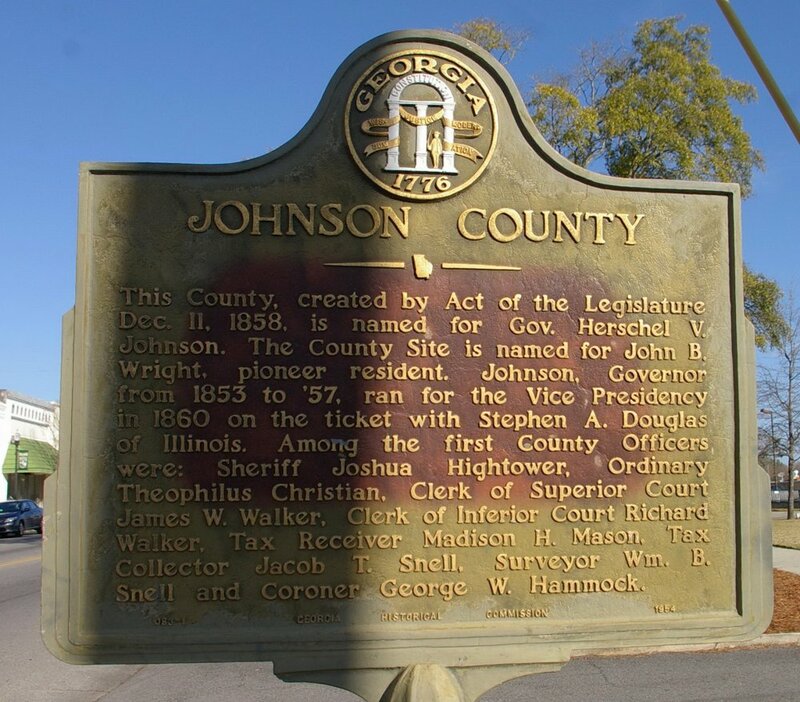 Johnson County is named for Herschel Johnson, who was a Governor of Georgia and a vice-presidential candidate in 1860. 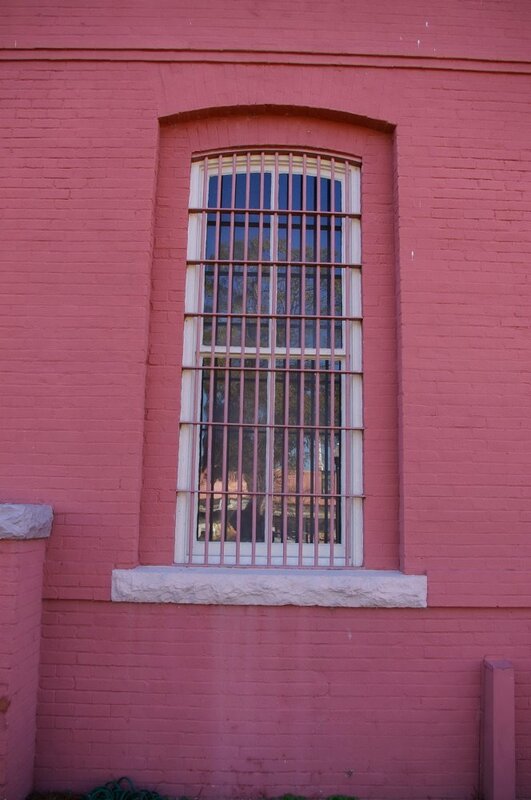 Description: The building faces west and is a two story red- pink colored brick and stone structure. 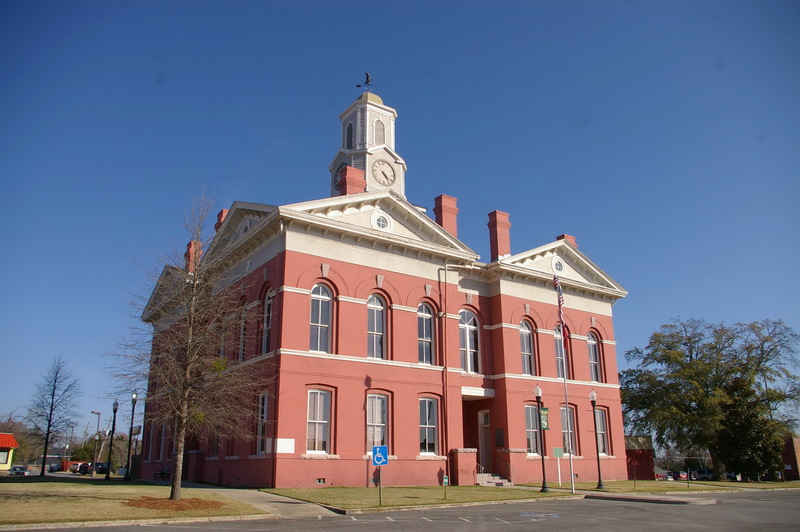 The building is located on the landscaped grounds of Courthouse Square and the west front has a recessed center section with arched entrance on the first story. Above on the second story is a large arched window. 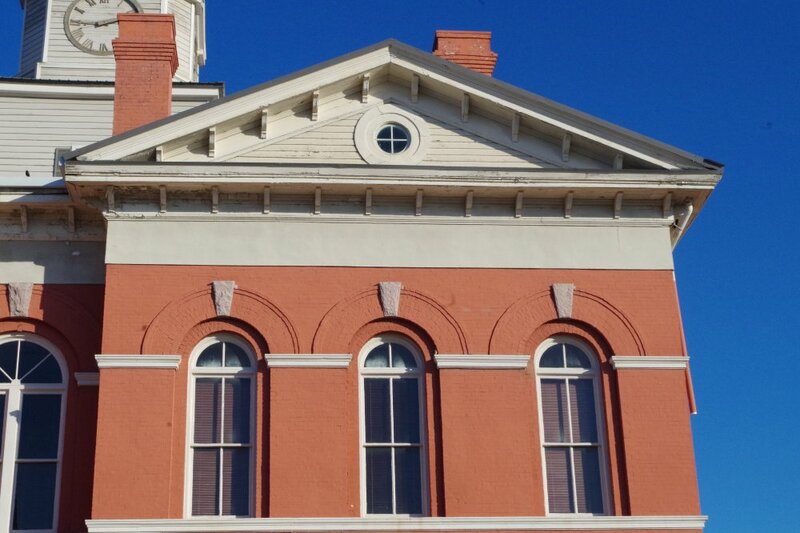 On either side of the center section are projecting sections rising to wide pediments with circular windows at the roof line. 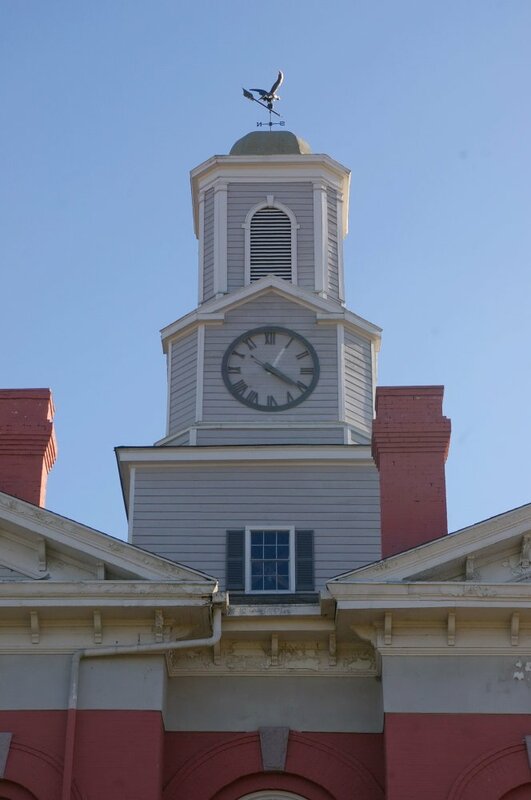 On the center of the roof is a high square clock tower rising from a platform in tiers to a dome at the top. 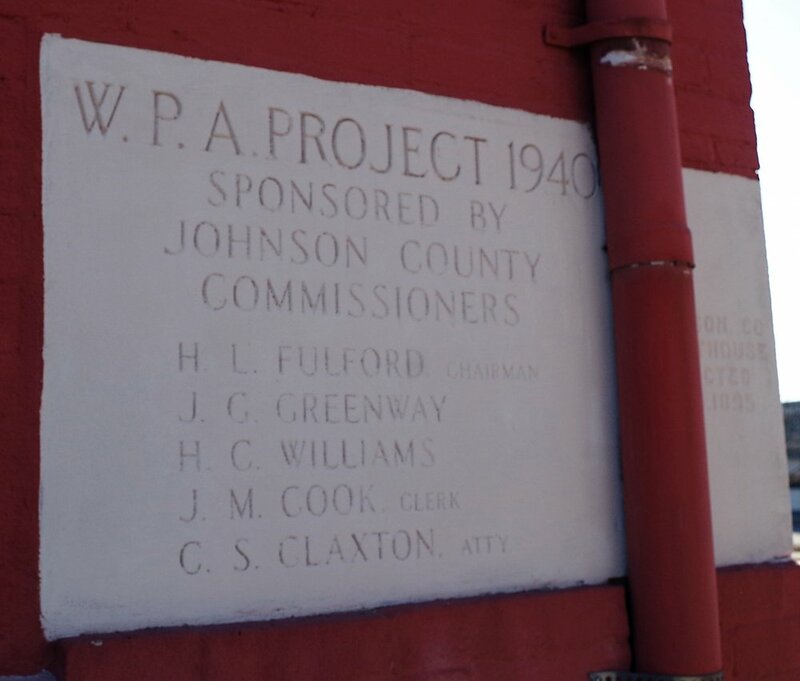 The building was remodeled in 1939 and 1940 under the Works Project Administration. 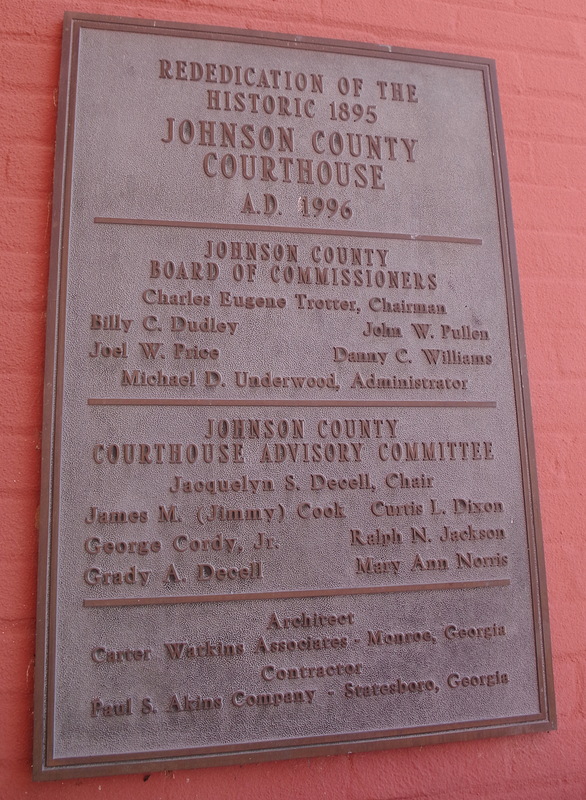 The building was renovated in 1996. 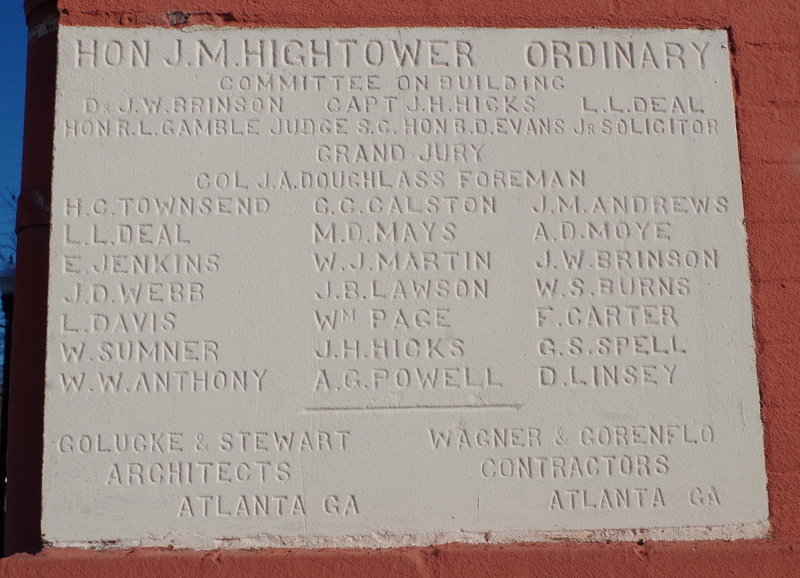 The architect was Carter Watkins Associates of Monroe and the contractor was Paul & Aikins Construction of Statesboro. 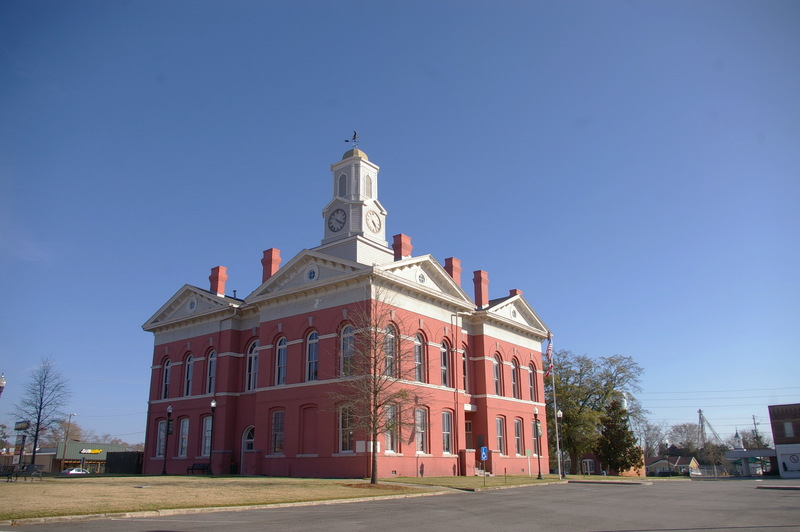 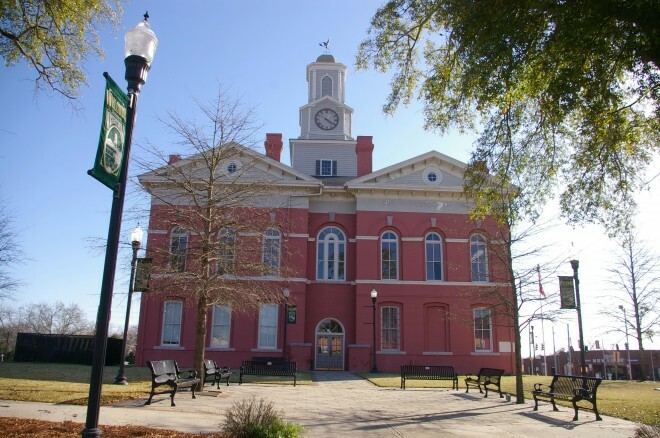 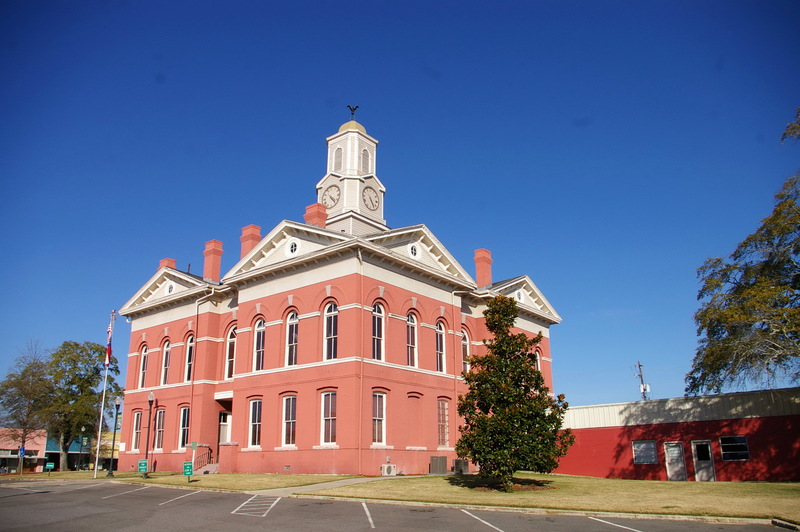 Note: The first courthouse was a wood structure built in 1859.